With 22 mouth-watering meals updated every week - you can try three for just £9.99. Like it? Try your second box for the same price too! Are you stuck in a cooking rut and not sure where to start? We’ve teamed up with Gousto to change the way people eat, for good. We’re very excited to be able to offer readers a chance to try three meals for just £9.99, for your first two meal boxes with Gousto - including free delivery! With 22 unique recipes to choose from each week - including 6 vegetarian dishes, family friendly dinners, low calorie options and quick & easy meals - Gousto will have the perfect recipes for you, whatever you’re looking for. 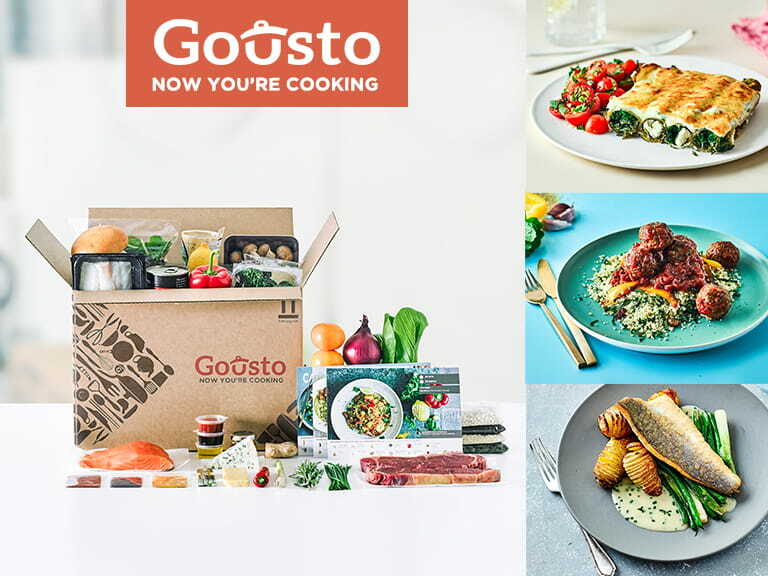 To try a meal box for just £9.99, simply visit Gousto or click here and enter the code SALE17E.